What manner of man is your father or husband? A man’s personal taste determines the particular kind of tie styles which will do the most for him. A man wearing exactly the right combination of design, proportion and color for his personality in a silk tie makes a world of difference in his overall appearance. The following examples illustrate some of the more trendy tie styles that help to define a man’s character. 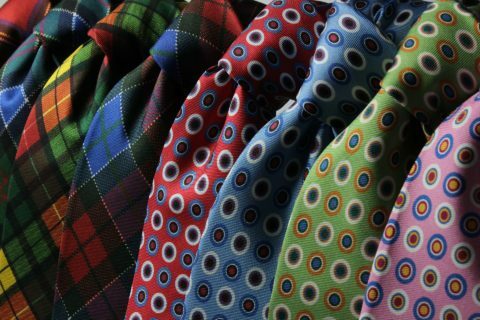 Use this as a guide for choosing a tie that is best suited to the particular manner of man your father or husband is — inside and out. Incidentally, ties are my specialty. I’ve been in the men’s clothing business since 1991, and my business is focused on providing custom-tailored suits, shirts as well as men’s accessories. Does he look like a business tycoon? Does he look like a man of affairs? Does he look like an athlete? When you choose the right manner of tie, it’s more than just a tie… it’s the right tie for the man you respect the most on Father’s Day!